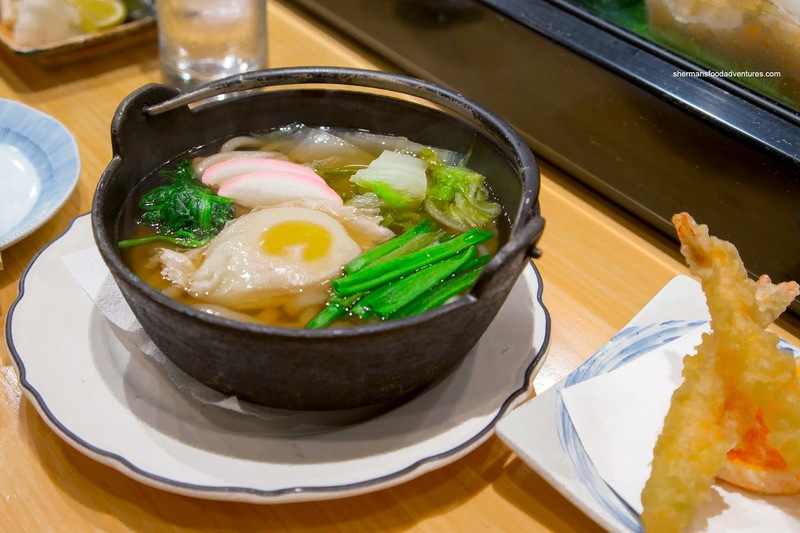 Most times, it is so easy to go out for Japanese food. I mean, we can find one (or many more) in any given neighbourhood. This even applies to the 'burbs, even smaller places like Ladner and New West. But when "authentic" and "Japanese-run" are added to the criteria, then the list shrinks considerably. In fact, less than 5% in the entire GVRD fit this description. So when Viv and I felt like some carefully crafted sushi, we took the drive all the way to North Van. No, not the ones littering Lonsdale, rather, we visited Hamaei. This little place is easily missed being tucked behind the McD's just off Westview at Hwy #1. A few of Viv's co-workers swear by this place and as we arrived late on a weekend, there was still a lineup. Hence, we ending up sitting at the bar with the kiddies (my daughter was mesmerized by the sushi chefs). 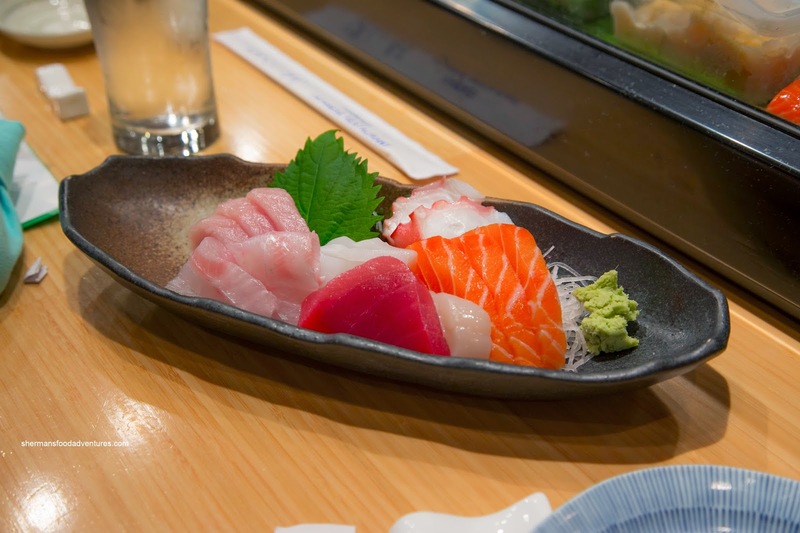 We started with the Assorted Sashimi consisting of tai, ika, hotate, tako, Atlantic salmon and 2 types of tuna. After our first few pieces, it was pretty obvious the quality of the fish meant the natural flavours and sweetness really came through. Suffice to say, everything had a nice sheen and textures were on point. Next, we had a 4 pieces of Nigiri including tai, salmon, hotate and unagi. By virtue of sitting at the sushi bar, I was pleased to see that no microwave was used to warm up the unagi, rather, they used a toaster oven. Again, everything was good including the nicely textured sushi rice which rode the fine line between chewy and still being moist. It was also properly seasoned. At Hamaei, they don't do specialty rolls with special sauces and such, so we ended up with the classic Chopped Scallop Roll. As much as I don't mind glizty rolls, going back to the regular means simplicity with not much to hide mistakes. 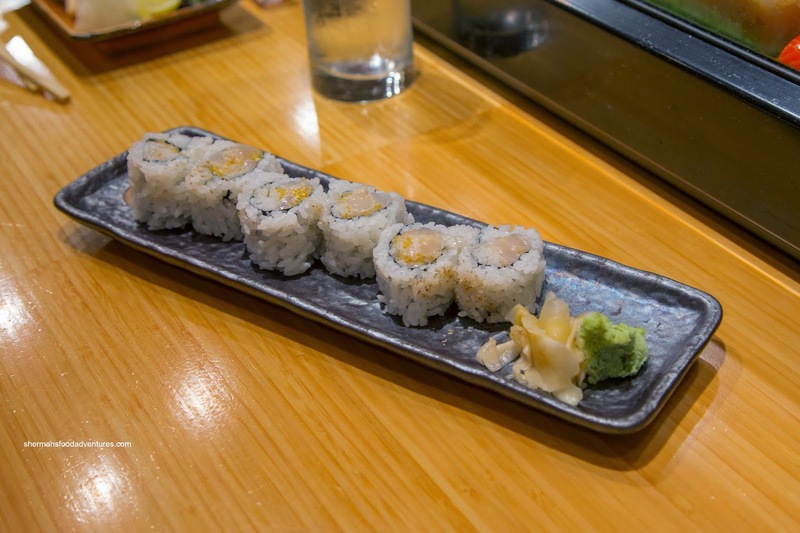 In this case, the roll was well-constructed where it ate without falling apart while not being too firm. Inside, the buttery scallops were accented by the pop of fish roe. One dish we weren't overly impressed with was the Grilled Marinated Black Cod. Despite its beautiful appearance, it was really salty. 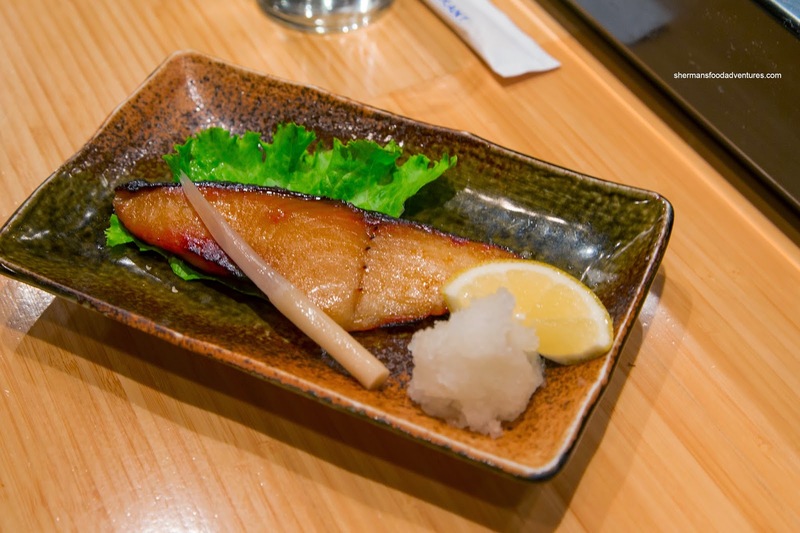 Even with the addition of lemon, grated daikon and ginger, it could not cut through the salty sting. In terms of texture, it was soft, yet a touch past that it was no longer buttery-flaky. With my son's aversion to the raw stuff, we had to get some other cooked items. 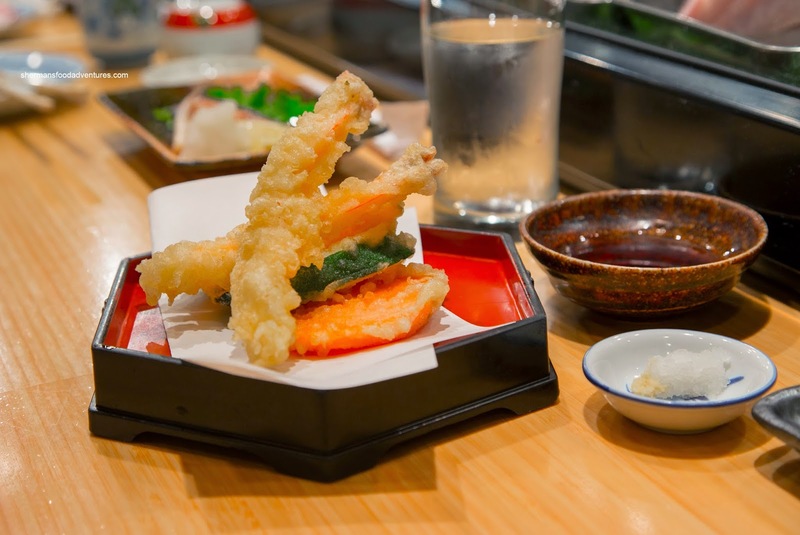 Therefore, we ordered an Appetizer Tempura comprised of 2 ebi, zucchini, golden squash and yam. Although the batter was relatively crispy, it was a touch heavy on the ebi. 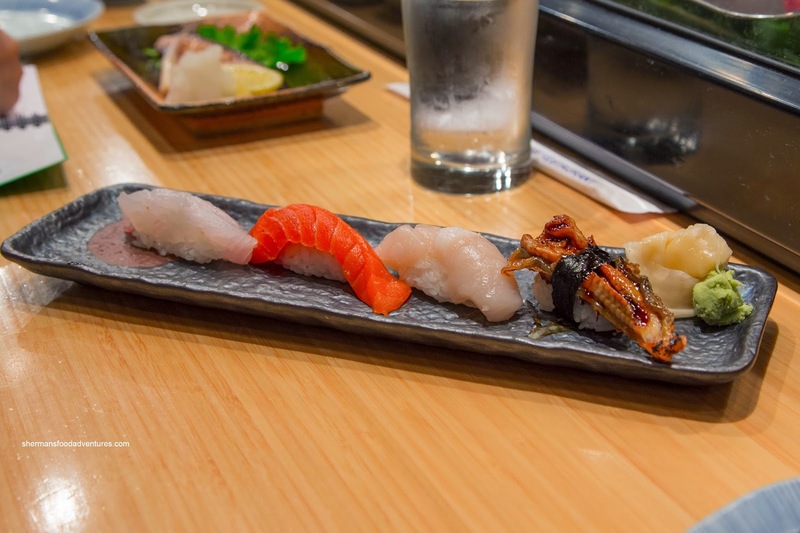 Regarding the ebi, it was meaty, but overcooked where it was a bit chewy. Also, the yam was undercooked where it was still a bit crunchy. We ended with the Nabeyaki Udon (also for the kiddies) with tempura served on the side. This was simple, yet enjoyable with a flavourful dashi broth where the bonito really came through. 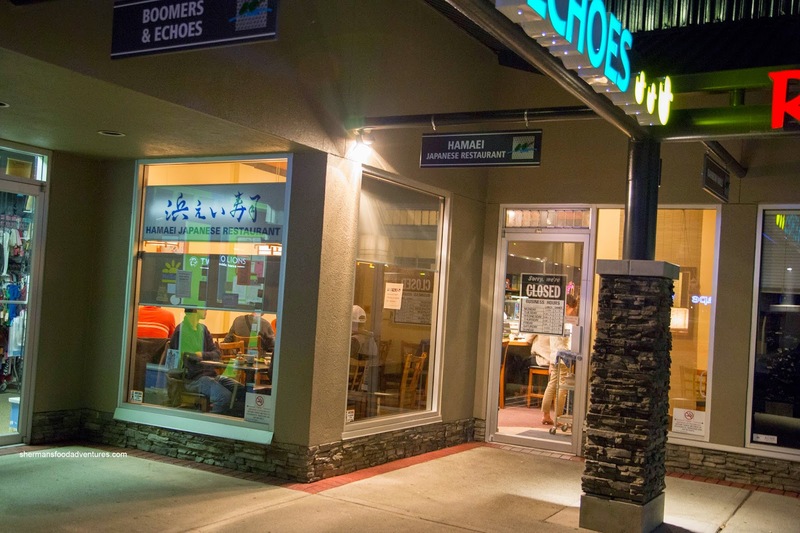 Overall, we enjoyed our meal at this little gem in North Van. Of course, nothing can ever be perfect and this was the case here. The sushi was really good while the cooked items were so-so. However, for some real sushi, Hamaei is a solid choice not only in North Van, but for all of the GVRD.